Chris Earles, one of the two candidates for vice president, is running a campaign focused on promoting three values: student voice, club collaboration, and achievement recognition. Each idea supports a different aspect of student life on campus, but one of his big ideas is the improvement of student life. He aims to do that primarily through a greater engagement of clubs, and plans to introduce some Student Senate oversight to make sure these new initiatives succeed. All of this forms a campaign focused on starting long-term solutions while addressing some problems that exist in the short-term. “To most students, SMU is perceived as a business more than a university,” Earles said when addressing the topic of school spirit. That is one of the ideas that inspired him to run on a platform dealing almost exclusively with getting students a greater voice on campus and improving certain aspects of campus life. This idea emerges from the idea that most major change happens around the election cycles for Student Senate. Earles’ plan to tackle this major issue is for Student Senate to support the creation of student-led advisory boards throughout the university in all of the schools and the programs within these schools. It is part of a vertical and horizontal approach that Earles hopes that more students will be heard and that greater change can happen throughout the year. However, the problem might be the creation of the advisory boards themselves. According to Earles, the schools he has spoken with have been receptive to the idea, and it fits with the Lyle School of Engineering creating a student advisory board. Earles’ plan would also call for an amendment to the Student Senate bylaws which would allow Student Senate to effectively ensure that these advisory boards existed and would be accessible to the students that they are intended to serve. The biggest potential problem associated with this idea is getting these advisory boards created, but also running. He notes that many students on campus only dedicate to a small number of organizations on campus. This makes populating the boards more difficult, but they will also need the support of faculty across the board if the scope Earles envisions is to be realized. The second platform issue Earles hopes to tackle is the collaboration between clubs using the already existing student senator liaisons. The Vice President oversees the assignment of these liaisons, and Earles hopes to better connect organizations using these liaisons and to make the liaisons more of a representative for the club in Student Senate. This will require Earles changing the way that assignments are handled which means that liaisons will likely serve a group of similar organizations on campus, but the hope is that it facilitates better communication. A potential problem with this solution is the quality of the student liaison. Currently, the process is tedious and it involves two liaisons and two club presidents in most cases. Simplifying it may make communication easier, but to realize the level of connections that Earles is hoping for would take significant training and change to the current model. The final key issue for Earles’ platform is this idea of student recognition. Earles said there are many incredible people on the campus of SMU that do not get recognition for the amazing things that they do. 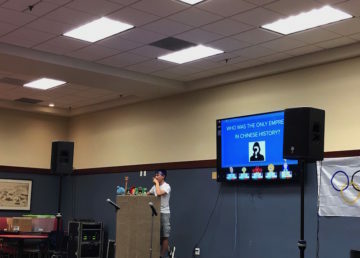 In order to ensure that these students get the recognition for their talents, Earles is proposing a bi-weekly publication by Student Senate that recognizes a select number of students for their achievements. This would expand the role of the Communications Committee, while also giving them more power since they would oversee the publication and application review for the student recognition program. It would likely manifest in Connect as a form to be filled out that would directly go to the Communications Committee. The hope is that this raises awareness about student recognition on campus, but a potential problem is the application process. Since the Communications Committee will be staffed by busy student senators, it could need an expansion. Earles hopes to seat more general members, people who are not senators, but act on senate committees, in order to combat this. Regardless, it is still dependent on the quality of the committee members to choose who gets recognized and who may get recognized later. 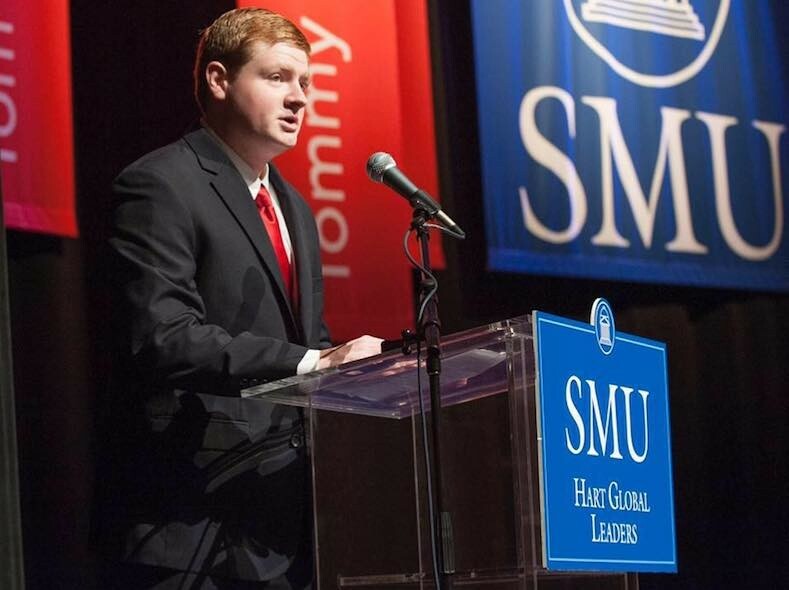 Earles’ campaign boils down to two major issues: fixing the short-term minded policy changes and achieving a greater student involvement at SMU. He hopes that these changes will be meaningful, and he is planning to change the bylaws in order to make sure that the student voice and achievement recognition are sustainable initiatives. Elections begin on April 3 and run through April 4.